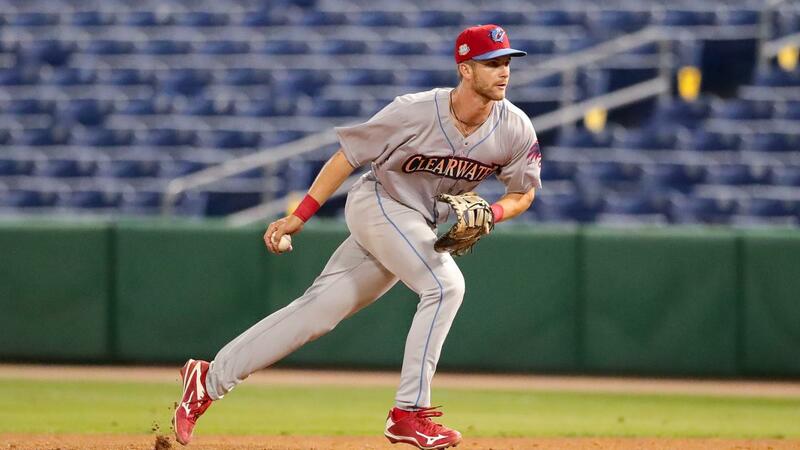 CLEARWATER, Fla. - Despite grabbing an early 2-0 lead, the Clearwater Threshers couldn't overcome a hot Fort Myers offensive attack in 12-7 loss on Sunday afternoon. The loss hands the Philadelphia Phillies affiliate its first sweep of the season. Jhailyn Ortiz started the scoring with an RBI triple in the home half of the opening frame, and came in to score on Jake Scheiner's run-scoring single to center. Fort Myers (7-4) took the lead and never looked back in the third when they plated four runs on five hits. They would add two in the fourth and three in the fifth to extend the lead to 9-2. Miracle catcher Ben Rortvedt went 4-for-4 with two doubles and a home run to boost the Minnesota Twins affiliate to its fifth win in its last six games. Clearwater (2-9) answered with runs in the fifth, sixth and eighth, but couldn't get within five the rest of the game. The Threshers fell for the fourth straight game and for the seventh time in their last eight games. Right-hander Andrew Brown (0-2) worked efficiently through his first two innings of the day, but labored with a 33-pitch third which resulted in four runs coming across for the visitors on five hits and a walk. The 21-year-old suffered his second consecutive loss to start the season, allowing six runs - five earned - on 10 hits, a free pass and four strikeouts. Madison Stokes delivered at the plate for Clearwater, going 2-4 with two runs scored and an RBI double. Stokes improved his season average to .343 to lead the Threshers. Charlie Barnes (1-1) earned the win for the Miracle, despite allowing five runs - four earned - on six hits, two walks and four punch outs. The opposing southpaw saw his ERA rise from 6.75 to 7.36 in the victory. Clearwater will hit the road to take on the Florida Fire Frogs for a three-game set beginning Monday at Osceola County Stadium. RHP Julian Garcia (0-1 6.75) will toe the rubber for the Threshers against Fire Frogs RHP Tristan Beck (0-0 7.00). First pitch is scheduled for 6 p.m., with coverage beginning at 5:45 p.m. on threshersbaseball.com.